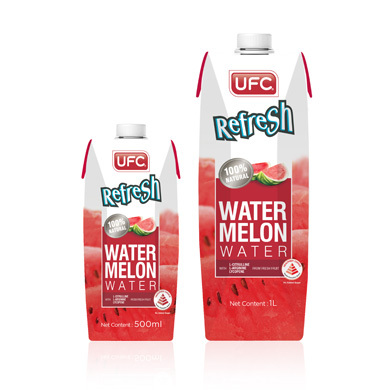 UFC Refresh 100% Watermelon Water is made from specially selected authentic Thai “Kinnaree” watermelons with the just-right sweetness and unique aroma. It is 100% natural, with no added sugar, preservatives and colours. A healthier choice hydrating superfood, UFC Refresh Watermelon Water contains amino acids L-Citrulline and L-Arginine as well as powerful antioxidant Lycopene which are linked to maintaining good health.